Bali Zoo is combination of zoos and water rides. 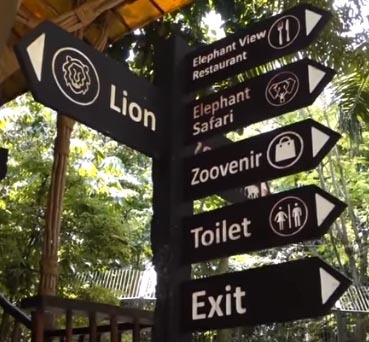 If you are on vacation with children, in this Bali Zoo, your child will get a unique experience. Because of the Bali zoo, Gianyar allows children to feed animals, such as feeding deer, feeding elephants, playing with rabbits and watching bird shows. The Bali Zoo Park is also home to a number of protected endangered animals such as forest people, Sumatran tigers and Bawean deer. Besides rare animals, Gianyar Zoo Bali also has a collection of other animals such as white tigers, African lions and various types of birds and reptiles. In addition to playing at the Minneapolis Jungle Water play, Gianyar Bali Zoo also provides facilities for riding cute pony horses. An this place is one of best zoo & marine park in Gianyar Bali.